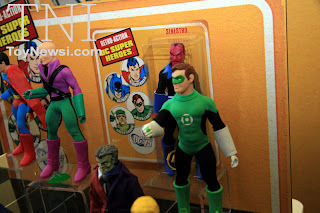 The remaining four Super Heroes from wave one-Superman, Green Lantern, Lex Luthor, and Sinestro haven't even been released yet (Coming to a Toys R US near you this Spring) and I have been dying to see what was in store for the second wave of DC Retro-Action Super Heroes action figures to be released. 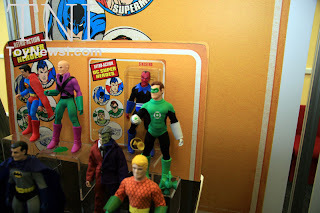 Green Arrow was released exclusively at MattyCollector.com (you can check out mine here) with the other four coming around Easter. 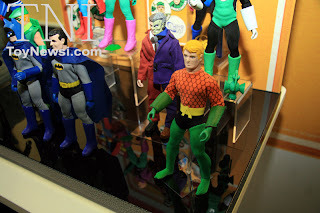 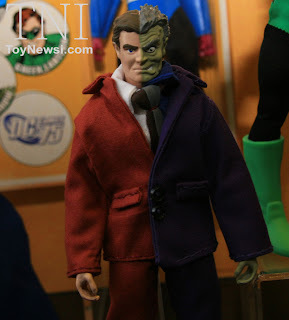 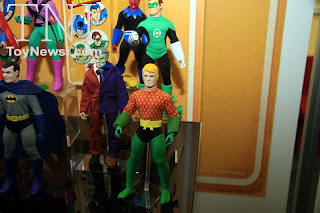 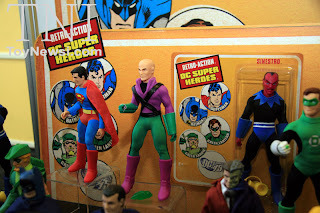 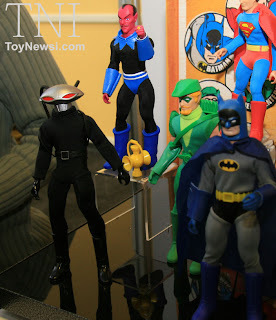 These Mego style action figure look fantastic. 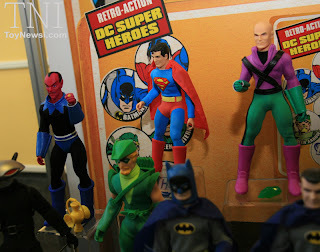 I can hardly wait to get my hands on them.